The first stage is that we spend some time discussing the difficulties you are having with your hearing, the type of lifestyle that you lead and we take time to understand your listening needs, goals and expectations. We examine your ear with an otoscope, we are looking at the health of your ear, ear canal and ear drum, we are also looking for obvious obstuction such as wax or infection, if wax is found we can remove your wax quickly and safely with micro-suction wax removal, if infection is found we may have to refer you to your GP. Next we perform your hearing test with Pure Tone Audiometry to produce your Audiogram. The hearing test involves you wearing headphones and pressing a button in response to a series of pure tone beeping sounds, we perform two different pure tone tests to give us all of the information needed to advise you on the type, degree and nature of your hearing loss. We take the time to explain your hearing test results. Technology. The right manufacturer and level of technology for your needs. Style. The right style of device for you, we look at size, shape, type of hearing aids and discuss all of the options. Comfort. The most appropriate fitting hearing aid for your hearing loss and ear shape. Price. 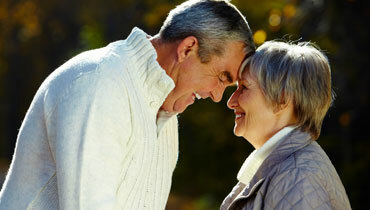 We have a wide range of hearing aids to suit evey budget. You can expect to hearing aid to be fitted within 7-14 days after your test dependant on the style of hearing aids dispensed. Research has shown this is an essential step.It is a method by which we can measure the performance of the hearing aid whilst it is actually in the ear. It takes the guess work out of fitting your hearing aids. This is where we play sounds through your hearing aid whilst it is in the ear to check what is actually being heard whilst wearing your hearing aid which again provides a much better fitting. We will then program the hearing aids to your own personal settings, you will now be ready to take them home and start using them. It is a good idea to get used to wearing your hearing aids in a familiar and comfortable situations, such as at home with the family, you maybe comfortable building up your wearing time as you get used to wearing them. Once you are used to wearing your hearing aids you can wear them all the time apart from sleeping and bathing. Speech, music and television will all sound louder and clearer making it easier to hear. you may hear other sounds around you that before were very quite such as taps running, footsteps on tiled floors and ticking clocks. Your own voice will also sound different, this is something that you adapt to over time. As you adapt to your hearing aids in your normal life, you wil then be able to come back to your follow up appointment and discuss any adjustments to sound that you would like, it is a good idea to make a list of anything you notice you would like adjusting so we don't forget to discuss it. We shall discuss how you have been getting along over the last 2 weeks, at this point we can make fine tuning adjustments to your hearing aids to further personalise the sound for you. These adjustments can make all the difference in the long run and help you get the most from your hearing aids.